William Ansor was born on August 14, 1961, but would later change his name to that of his wrestling persona, Buddy Landel. A talented and charismatic wrestler, the Knoxville, Tennessee native hit the big time in 1985, working in Jim Crockett Promotions. With a “Battle of the Nature Boys” feud on the horizon, big things lie ahead, but Landel’s personal demons led to an abrupt dismissal, and unfortunately his career never bounced back. 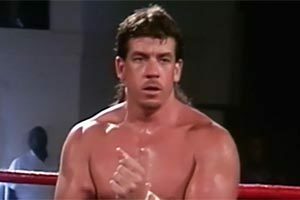 William Ansor’s sister was dating Barry Orton (brother of “Cowboy” Bob Orton Jr.) and knew of Ansor’s interest in wrestling. This led to an introduction to wrestler Boris Malenko, who began training Ansor. 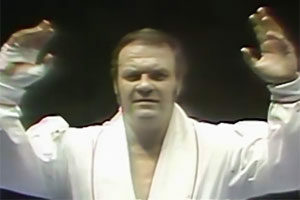 With the help of “Cowboy” Bill Watts and Bob Roop, Ansor entered the wrestling business. Buddy Landel shows off the NWA Heavyweight strap. 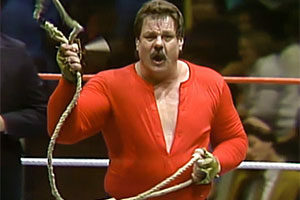 Ansor debuted in 1979, and worked his first match with “Cowboy” Bob Orton, Jr. He adopted the name Buddy Roop and spent time in Bill Watts’ Mid-South Wrestling before an international phone call changed his life. 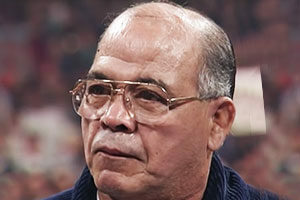 Ansor received a phone call from booker Tom Renesto, Sr. who was setting up matches in Puerto Rico. Renesto asked Ansor if he would dye his hair blonde and work as a heel. Ansor agreed, and before long, he was a star in Puerto Rico, performing as Buddy Landel. When Landel returned to America, he adopted the nickname “Nature Boy” in Jerry Lawler and Jerry Jarrett’s Memphis territory. Landel’s star was on the rise and soon, he was working in Bill Watts’ Mid-South Wrestling, achieving more success. At the age of 23, Landel had a bright future ahead with promoters taking note of the charismatic star who knew how to draw heat and get fans to pony up money to see him get his comeuppance. Landel caught the attention of Jim Crockett Promotions, which was expanding into a national promotion. Landel was brought into the organization with big plans for him. Landel was paired with manager James J. Dillon and put into a program with NWA World Heavyweight Champion “Nature Boy” Ric Flair. The program became a sensation with a main event in Raleigh’s Dorton Arena breaking an attendance record previously set by Elvis Presley. Life was good for Landel. He was making money and wrestling legend has it Landel was being groomed for a run with the NWA World Heavyweight Championship – on the contrary, Ric Flair said in a shoot interview that he had no knowledge of Landel being considered for a run with the belt. By his own admission, Buddy Landel had been given too much, too soon, and he was unable to deal with the enormous pressure thrust upon him. In a 2011 interview with The Post and Courier, Landel recalls oversleeping a TV taping due to heavy drug use the night before. When booker Dusty Rhodes and Jim Crockett Jr. called Landel, he hung up on them and told them not to call him again. Eventually, Landel reported to work, and Dusty fired him immediately. Landel, only 23 years old at the time, ended what could have been one of wrestling’s greatest programs. Landel’s drug use plagued him wherever he went, and a promising future turned into a series of appearances for a promotion before an exit and an arrival somewhere else. Buddy Landel had his moments of success, including a run in Jim Cornette’s Smoky Mountain Wrestling, but he never found the main event success that had once seemed inevitable. Landel caught a break in 1995 when the WWF brought him in, with company officials enthusiastic about him. 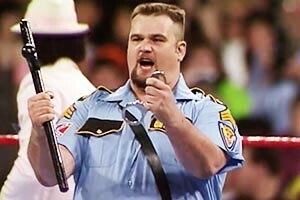 However, Buddy suffered a severe knee injury when he slipped on some ice and the WWF let him go. Despite his struggles, Buddy overcame his personal demons and maintained a presence on the indie circuit and at wrestling conventions. On June 21, 2015, Buddy was involved in a motor vehicle accident. Landel was hospitalized, but checked himself out, reportedly against his doctor’s wishes. Landel told his wife he felt ill before going to bed. The next day, Landel’s wife found him unresponsive. Buddy Landel died on June 22, 2015 at the age of 53. He was survived by his wife and two daughters. With no off-season and a brutal touring schedule, it’s not a shock that other wrestlers have died after suffering injuries from car accidents. 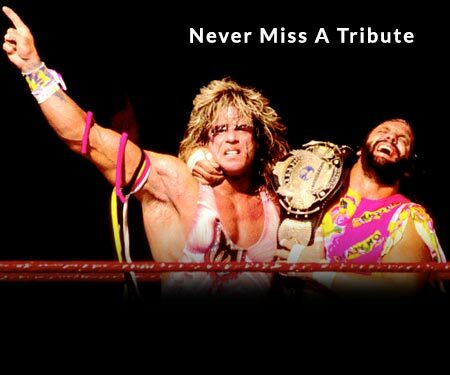 That list includes Adrian Adonis who passed away in 1988 along with two of his colleagues. WWF Referree Joey Marella met a similar fate in 1994. Junk Yard Dog passed from a car accident in ’98, though he was long retired from the ring at the time of the accident. Have any memories of Buddy Landel? Share them in the comments section below.